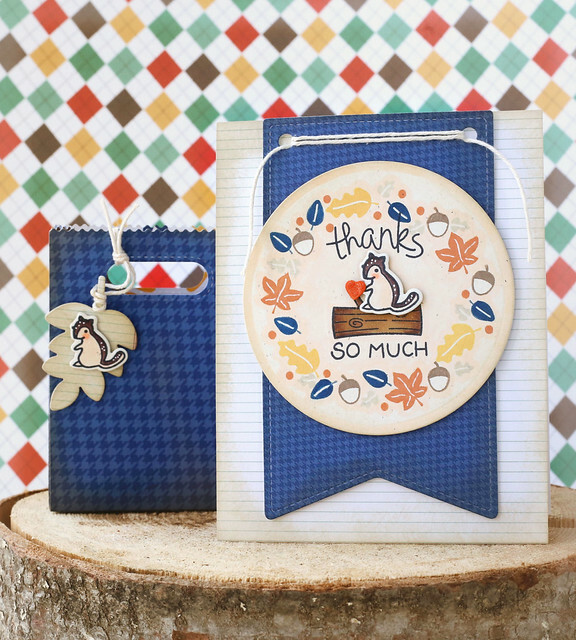 Another day of lawn fawn inspiration; this one features the sweater weather stamp set and matching dies. The little chipmunk from "joy to the woods" works so well in a fall setting! I used the leaves and acorn from sweater weather to build a wreath around him in shades of mustard and burnt orange and navy. Here's a secret: my only navy ink was way too light when I stamped the leaves, so I went over the stamped images with a copic marker to bring it to the richer shade I wanted. It matches the patterned paper much better this way. I love the goodie bag die. 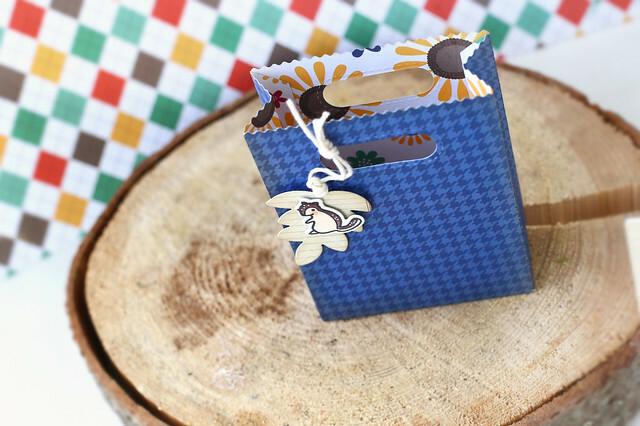 It's a snap to put together and it looks so cute when assembled using double-sided patterned paper! It's like a bag with a snazzy liner. That's all for me, but there's always way more to see on the lawn fawn blog! So cute! I love that little squirrel! Adorable!!! Love how you created a wreath out of the tiny images in the stamp set! And I love the little white dots you added to the cute little squirrel!! 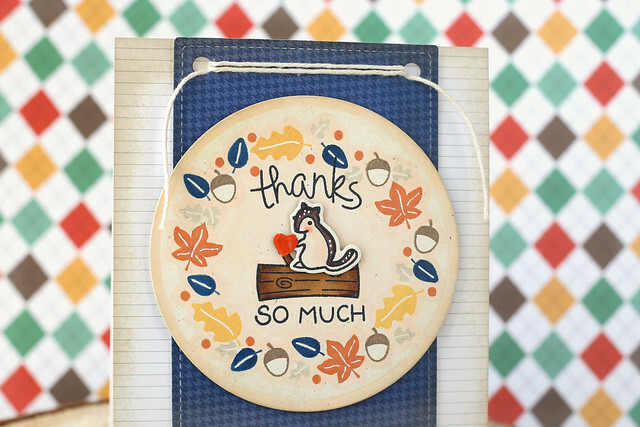 Your card and goodie bag are so adorable! I absolutely love the wreath and the little squirrel! That wreath is so clever and the color palette is super cozy! I'm so glad I pre-ordered these supplies. I'll definitely be using your card for inspiration when my order arrives. Gorgeous gift ensemble, Elena! I especially love the beautiful wreath you created and that color scheme is perfect! May I ask which inks you used for these tiny images of the wreath? This set is so beautiful! the colors are so refreshing!